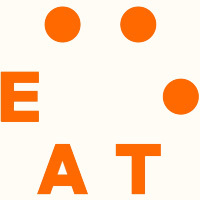 This report was prepared by EAT and is an adapted summary of the Commission Food in The Anthropocene: the EAT-Lancet Commission on Healthy Diets From Sustainable Food Systems. For the full report Food in the Anthropocene: the EAT-Lancet Commission on healthy diets from sustainable food systems (Walter Willett et al. ), click here. Scroll down to find the Summary Report in Arabic, Chinese, English, French, Indonesian, Portuguese, Russian and Spanish.